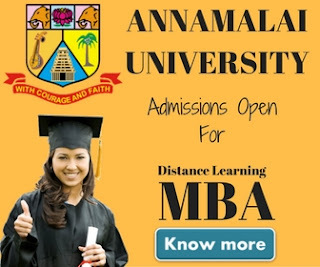 Annamalai University Distance Education MBA 2019: Like many other distance education courses, Annamalai University, Tamilnadu, also offers one general & 5 other specialized MBA programmes under distance education. Annamalai University is one of Asia's largest public residential universities offers more than 500 courses through distance education. The Directorate of Distance Education was established in 1979 at Annamalai University. To offer best in class education to students the university is well equipped with a computer and other infrastructure, adequate teaching faculty and administrative set-up of its own, study centers, computer training centers, etc. All the programmes of study offered by the Directorate of Distance Education have the approval of the Distance Education Council, New Delhi. 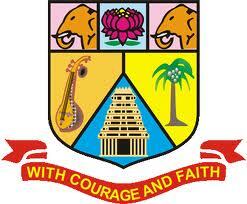 Annamalai University is offering the following MBA courses under distance education system. The medium of instructions for MBA courses is English & Tamil. The minimum duration to complete the course is 2 years although the person can complete the course in maximum 7 years. If you want to take admission or inquire about these courses, please fill out our inquiry form on this page. 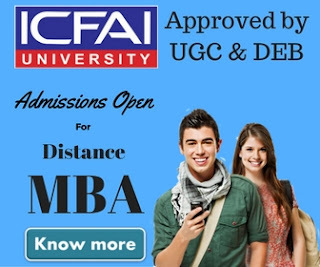 To be eligible for the MBA courses offered by the university, any Degree (except 10+2+2 pattern) or an equivalent examination is required. If a candidate resides nearby the university's study center, he/she may step into the center to take admission. For spot admissions, the candidate is required to submit a filled application form along with the scanned copy of eligibility documents. A demand draft of the required fee in favor of "The Director, DDE, Annamalai University" is also required at the time of admissions. Candidate should also carry some passport size photograph & original documents for verification purpose. If the applicant's place is not near any of the Study Centres, the filled in application may be sent to the Director, Directorate of Distance Education, Annamalai University, Annamalainagar – 608 002 along with attested xerox copies of (i) Certificates for the eligible qualification, (ii) Transfer/ Migration Certificate and (iii) Two passport size photographs for Identity Card and Scanning Form. Students seeking admission through the post, need not enclose the original certificates and demand draft along with the admission application. Fee & documents are to be sent later when the student will get provisional admission card. The University organizes compulsory Personal Contact Programmes with a duration of four days each at different centers. Students have to attend a minimum of two Personal Contact Programmes (four days continuously for each Programme) in each academic year.